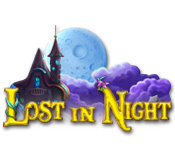 Lost in Night is rated 4.3 out of 5 by 80. 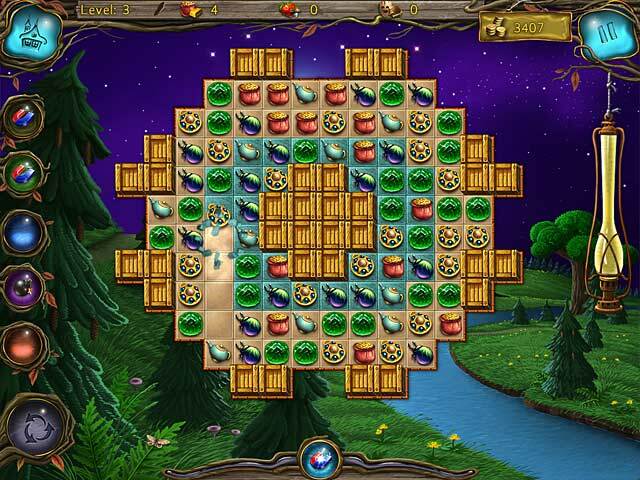 Rated 5 out of 5 by Kaatzz12642 from Lost in Night For those of you who love Match 3 games, need to try this game. It is fun, entertaining and frustrating at times. Graphics are great, the game uses your brain power. I found it by looking for something different and this one is!!!!! Rated 5 out of 5 by JiggyGal58 from Fantastic!! I really, really love this game! As I am near to finishing I found the Lost In Reefs games and have played the trial on both but to me the charm factor just is not the same. The ambiance too is great in this game as it is played by the light of the moon. I will be trying the Antarctic version next and I can only hope that it measures up to the game play, beauty and charming art of this game. I would love to see a second in this series. Big Fish - try and get one please! Rated 5 out of 5 by campingramps from Match 3 not boring I am usually not a fan of match 3 type of games but this one has captured me. The graphics are terrific and are something that should be in the so called collectors editions of other games. Game play is fun and challenging at the same time. What I really like is the diversity of the game. There are 2 other game modes other than the usual match 3. There is a group mode and a string mode. I play them all just for the change. Plus there is a cute little mini game. 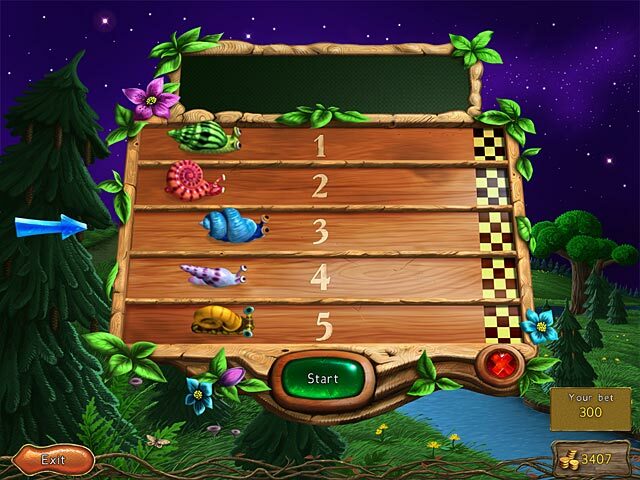 5 snails race and you pick one and place a bet. If yours wins you get the money, simple as that. Those little suckers are tricky though. The one that looks like the loser will, suddenly, put on a burst of speed and win. Fun game. I highly recommend this game even if you don't like match 3 games. You might be surprised. Rated 5 out of 5 by Ceolasfolly from One of my favorite Match 3 games! I tried the hour free version and couldn't stop playing; so, I bought it. I kept playing until the end. My little village is so adorable. The music is great, the sound effects are delightful. I love the "crunch" sound, when you release a designation tile; and, the explosions are a kick in the head. It's as addictive as sitting all day at the slots, in Vegas. That just leaves the graphics. The graphics are the best I've ever seen in a game. This game is so enjoyable that I'm going to start it again in the timed mode, and then when I finish I'll probably start it again with another players name. ENJOY!!! Rated 5 out of 5 by sparklefish777 from Fun Game! This is a very simple game and it is a lot of fun to play. This is a match 3 game and there are two other modes of play. Those are unlocked after a few rounds of match 3. 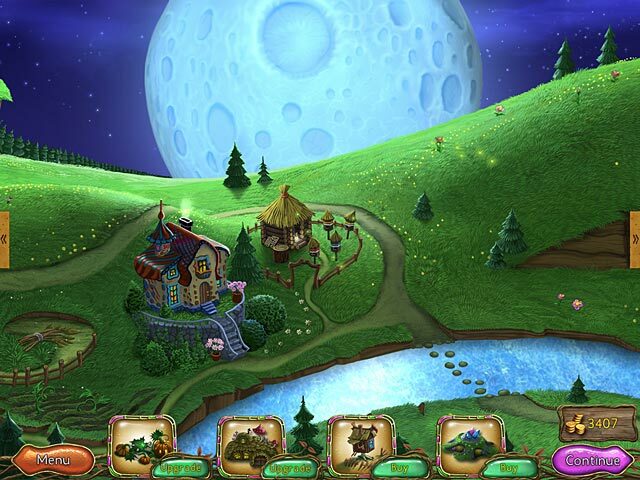 Earn enough coins to create a cute village of houses and other structures. And all this is done under the pretty night sky. Love it! Rated 5 out of 5 by lloydse from Bingo, Wow! Another Winner! Thank the stars for reviewers who tell it like it is, for the several I read sent me running to try this game and I would have missed it if not for their delighted reviews. This game is indeed lovely in all respects and novelties like the six-sided board moves make game-play zany, fresh, quite enjoyable. I hope there are more gems from this team, with this game they have set a high benchmark to surpass. Buy this game! Rated 5 out of 5 by citygirlretired from Beautiful and fun Nearly tossed it when I saw it was kind of KIDish ... It's beautiful and fun and charming and peaceful and a perfect way to keep hands busy while phone chatting! The upgrades were fun to watch, each of the M3s were a little different, with different ways to make your 3's. This would be great entertainment for those who don't want noise or violence - the music is delightful, the art is adorable. AND having completed the game there are ways to stay on board and win more trophies. I'd buy more of this kind of game. Rated 5 out of 5 by tutortime from Loved it! I love this type of game and usually play them everyday. Its nice to just relax and slowly build a village. I love this series and wish they would develop some more games.